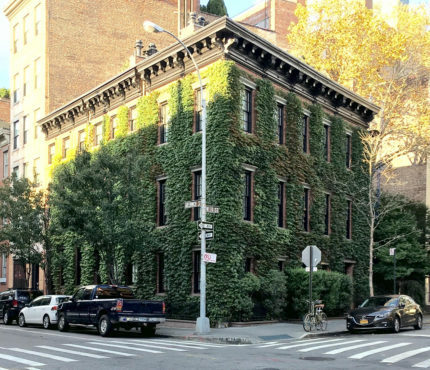 Three houses combined, cleverly concealed with Ivy to unite them. Two houses and one carriage house combined. The ‘double-wide’ is a term most used in American trailer parks, yet in Manhattan the super-rich love their ‘double-wide’s’ too…. and sometimes their ‘triple-wides’! Usually adjoining townhouses are combined to create multi-million-mansions. When it comes to City townhouses, width is everything. 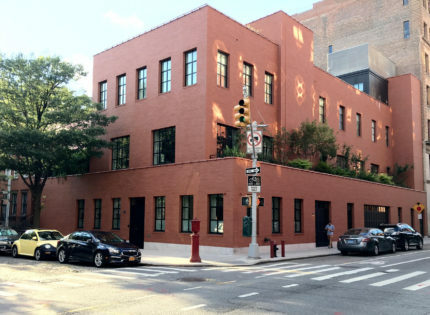 The space needs of the very wealthy are different: most individual townhouses measure up to 8,000sf or so. Doubling or tripling up can create the kind of space that delivers a trophy property that is extremely rare. 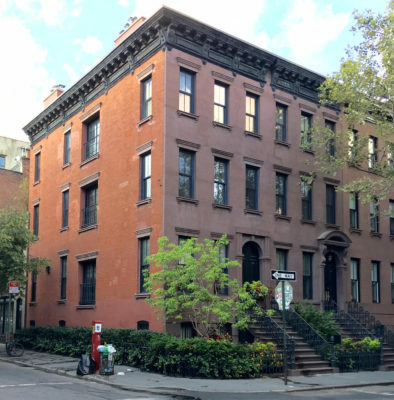 Madonna famously bought an Upper East Side combination and more recently Sarah Jessica Parker bought two adjoining Village townhouses to do just this. West Greenwich Village (the West Village) in Downtown Manhattan, once home to artists, musicians and writers, has evolved into a prime area for these kinds of properties with its charming tree-lined cobbled streets, low lying buildings that infuse the area with light all year round and the proximity to the Hudson River Park and Meatpacking District. Many of these Multi-Million-Mansions measure at least 8,000sf, but some soar to well over 14,000sf. While most are two properties combined, sometimes three are combined too. Mostly the character of the facades have to remain exactly as they were in their historic context and they often appear to be two or more separate homes. Many question how anyone could afford or spend this kind of money on a single home, yet compared to Midtown condominium penthouses they are relatively inexpensive, dare I say. 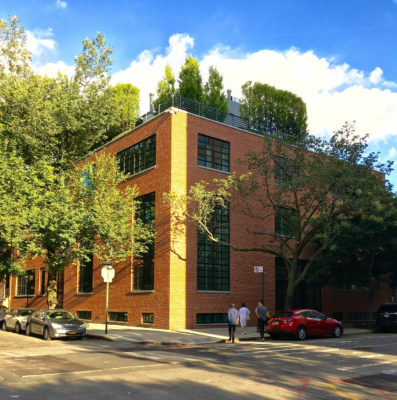 A raw townhouse costs roughly $2,000/sf…..add in a high end renovation of around $1,500/sf to total $3,500/sf and the picture is much clearer. A top-notch condo with outdoor space starts above $4,000/sf and goes much, much higher. Many of these mansions house artworks that cost more than the homes they are housed in to put things into perspective. Younger-thinking and younger buyers love the freedom of townhouse ownership and are drawn to the excitement of the City. A similar sized property in the suburbs would not cost much less, requires significantly more maintenance and often involves a lengthier commute stealing the one thing the super wealthy covet most…..time: the last luxury. This entry was posted on Friday, August 19th, 2016 at 11:32 am	and is filed under Uncategorized. You can follow any responses to this entry through the RSS 2.0 feed. You can skip to the end and leave a response. Pinging is currently not allowed.